Visordown was invited to Dainese’s HQ in Vicenza for a presentation of the Italian clothing giant’s latest apparel for 2010. 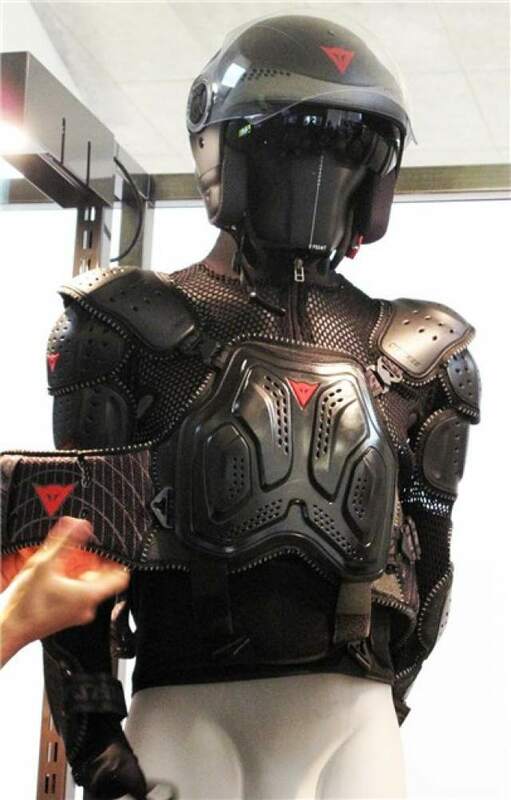 Highlights among the massive collection, included two new suits featuring improved venting, new materials and new armour to increase comfort and protection were shown to the assembled press. A fair bit of design work has gone into the new suits with subtle tweaks such as the location of the venting in proximity to the stitching to reduce tearing while still keeping the rider cool. While the suits don’t look to be a massive redesign in terms of aesthetics, we’re assured that the new technology built into the new range sets them apart from both theirs and their competitors 2009 kit. But then, I guess they would say that, wouldn’t they? As well as the suits, a new range of jackets has been launched. 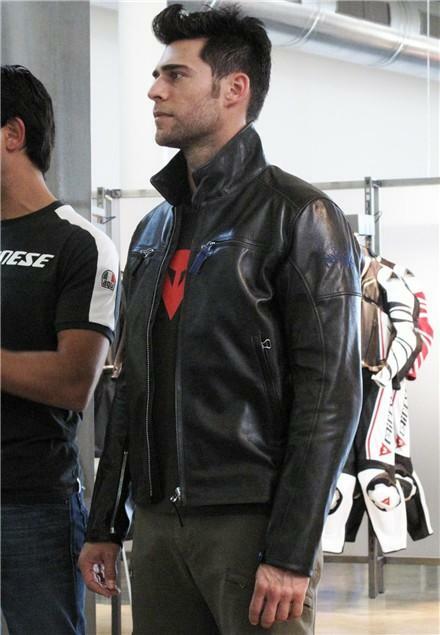 After a couple of years of fairly staid leather jacket designs, it’s good to see Dainese back on form with some absolutely stunning new colours and designs such as the Freddie Spencer inspired 'Freddie' jacket - let’s just hope that all the colour versions we were shown in Italy make their way to Blighty as they really are quite stunning. 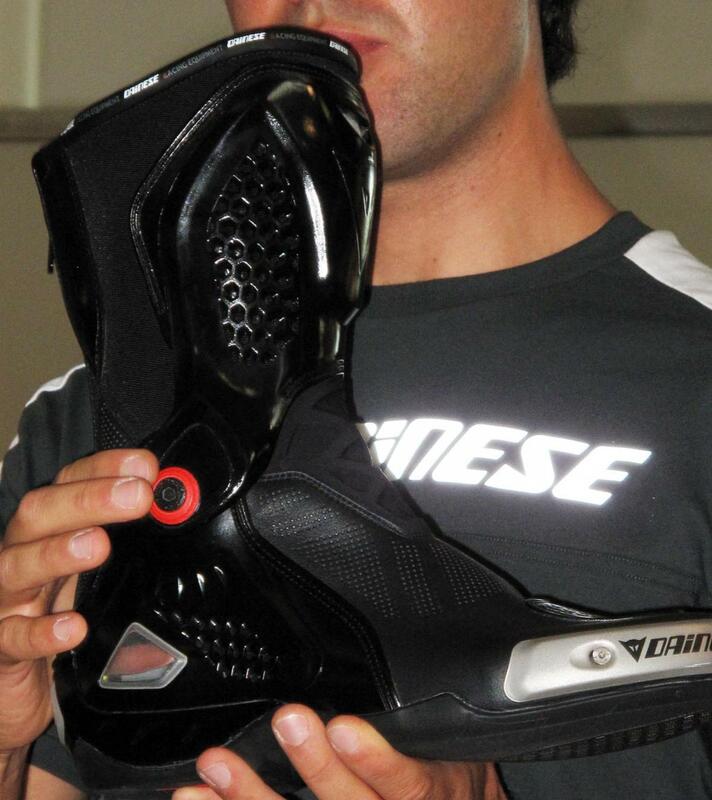 An area that Dainese were obviously keen to improve on is in the footwear department and it has to be said, on first inspection the new boot range is very impressive. Famous for its ‘under the leather’ boot, Dainese has completely reworked and redesigned its top-of-the-range race boot for improved comfort and torsional support, made the sole more grippy as well as giving it some clever inserts on the inner part of the boot to help grip against the bike under hard use. Rossi fans that prefer not to cover themselves in yellow or wear big 46 logos on their backs should rejoice in the Dainese’s new signature range. A fairly expansive range of casual gear that borders on high fashion is about as cool as fan-wear gets. Discreetly styled with an equally subtle signature on the left arm, if you want to quietly let the world know that you’re a fan of The Doctor then this range is definitely for you. Finally, Dainese has been working hard with various universities looking into the highest cause of serious motorcycle injuries. The results pointed towards chest injuries and the subsequent risk of damage to internal organs. 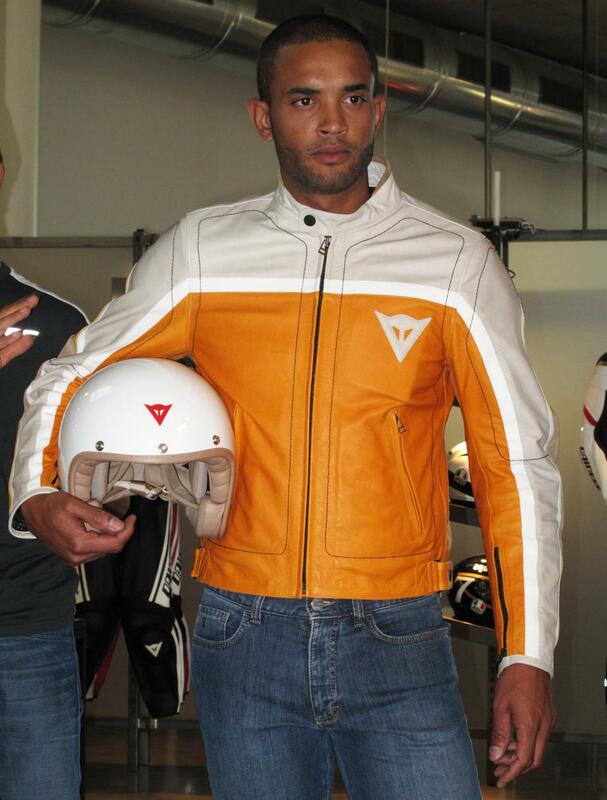 While perhaps nothing new, Dainese has been working hard on producing varying levels of Thorax protection, from full armour jackets to smaller protectors that slide into the front of their new suits and jackets. UK prices are still a bit sketchy at the moment - we’ll bring you more details over the next week.